Thanks to reissues by Second Run and Criterion, František Vláčil’s recent re-entry into the cinephile lexicon, following decades of obscurity, has re-established a dialogue about his early masterpieces Marketa Lazarová (1967) and The Valley Of The Bees (1967). 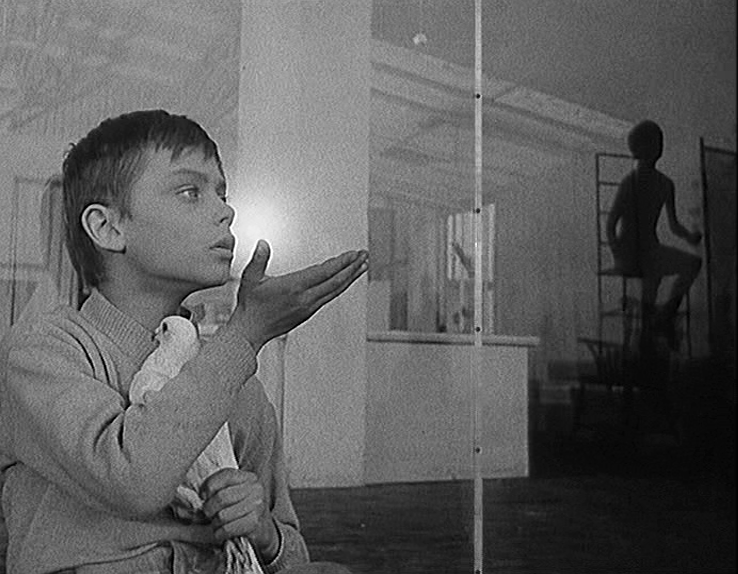 But now that dialogue can extend to his 1960 debut The White Dove, whose poetic naturalism and narrative simplicity stand in stark contrast to the sensory, elliptical tone-poem Marketa Lazarová, the film which would come to define his auteur imprint. A young blonde reclines on a shabby timber raft (she’s not unlike Yelena Kuzmina in Boris Barnet’s By The Bluest Of Seas), surrounded by a gaggle of old, bearded men awaiting the return of their doves. Their birds come back, but hers does not – it has become lost and landed on a glass roof in Prague. The glass cracks, cutting the dove’s foot and causing it to fall several storeys. It dies, but still the artist who retrieves its body offers it as gift to the young Michal (Karel Smyczek) who lives several floors below; he has few friends outside of home due to a crippling back injury. Perhaps most surprising is the modesty Vláčil’s camera displays – in later years it would be romantic and sublime, tracking in perpetual motion like his dense, overlapping narratives, which never organically synchronize. But here the emphasis is on framing and slow, poetic movement. Only occasionally is Vláčil carried away by formal ostentatiousness (the shot of the young woman turning in her bed, where the camera echoes her movement in a 180° rotation), and for the most part his style is restrained, free to capture fleetingly beautiful moments of still life – the artist crafting his portrait of the bird in-camera, and the young woman faintly illuminated by the light streaming through a thin umbrella. The film adopts a rhythm not unlike that of the Baltic sea gently lapping against the shore, a scene we see many times as the young woman waits for her bird to return. Vláčil’s sense of everyday poetry is almost Neo-Realist, but he imbues each scene with an equally quiet, unspoken sense of magic. The way the bird comes back to life is purely expressionistic, like much of the camerawork, which navigates an emotional, not physical place. His ability to evoke the feeling and texture of an environment was clearly honed from the start, but who knew, watching Marketa Lazarová, that it started so small. Look at the way Vláčil shoots the birds through rain-specked glass, achieving a sort of organic soft-focus, and in a single shot you’ll witness his singular style of almost ethereal naturalism. 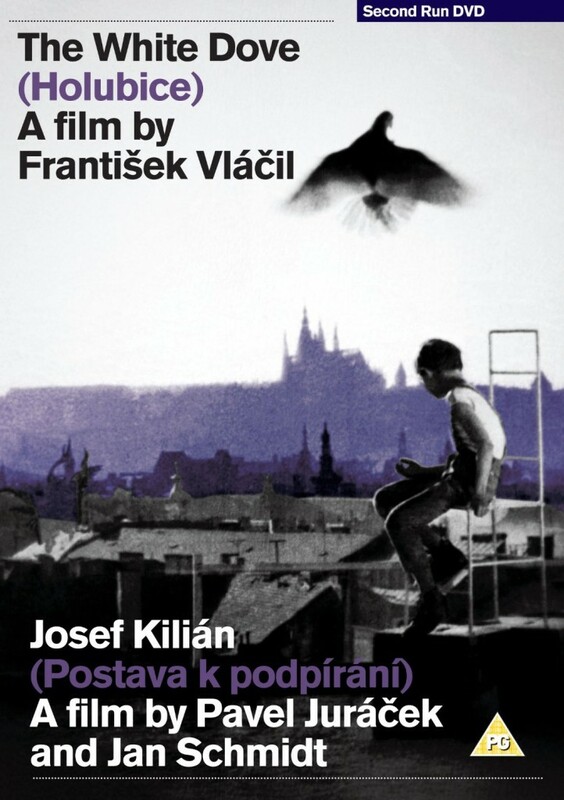 Comparisons to Ken Loach’s social realist Kes (1963) are inevitable, but only when spliced with the lyricism and beauty of Storm Boy (1976), an Australian treasure about a young boy nursing an abandoned pelican, and seen through the lens of the Czech New Wave, do you get close to communicating the spirit and feeling of The White Dove, whose humanism and warmth transcend a simple narrative. Vláčil came from humble beginnings, it seems, but one shouldn’t be shy about declaring his debut feature the masterpiece that it is. Pavel Juráček and Jan Schmidt’s Kafkaesque curio is a distillation rather than adaptation of the expressionist author’s work, but staged in his native Prague its pliable temporal and physical world, populated by maladroit bureaucrats and bubble-headed citizens, feels like the organic excrescence of his idiosyncratic mind – it captures the texture of his novels, evokes their worlds of hallways-within-hallways and downstairs leading upstairs, and DP Jan Čuřík’s hedged 4:3 frame suggests an expansive space ever-closing. Identity is the central theme of Kafka’s work, and his comprehension of obfuscatory reality is rendered here as political allegory; when the nameless man walks through a corridor of protest signs – “Cholera, Plague, Flies. These are Truman’s allies!” – set to an ironically jubilant, quasi-patriotic marching tune, the invocation of the author sets a distinct tone, and his recurring themes of paranoia, senselessness and disorientation are key shorthands for a very present-tense dilemma. Its premise is perfect. 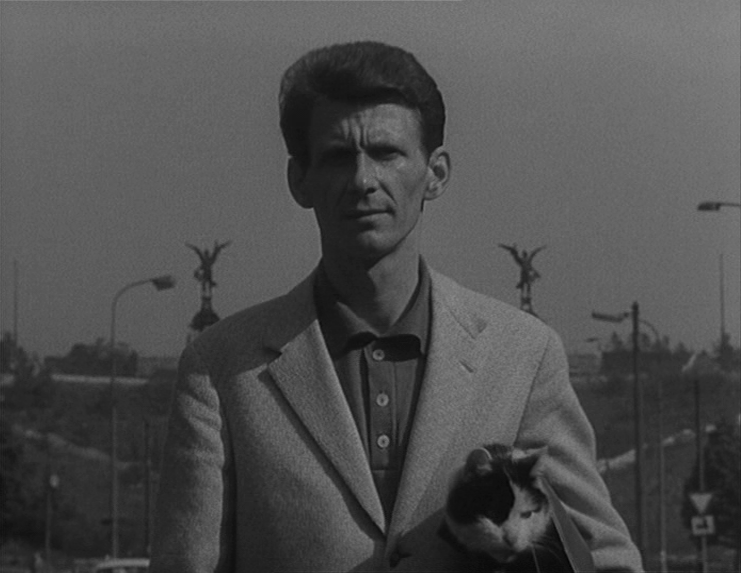 Our man is searching for the titular Josef K (bearing no relation to Kafka’s own) and comes across a ‘Cat Rental Shop’. He takes a kitty home but cannot find the shop the next day, and so walks around town looking for somebody who may be able to help, all the while accruing an inordinate overdue fee. The offices he encounters are reminiscent of those in Orson Welles’s The Trial (1962) – small doors framed within vast compositional architecture; rows and rows of uniform filing cabinets – again suggesting an inherent dislocation between the man (who represents pure self) and his surrounding (which is abstract, unhelpful and inherently unknowable). The Disc/Extras: Two very fine digital restorations, and though both presentations bear some flickering and heavy grain (particularly Josef Kilián) they remain highly watchable, and DP Jan Čuřík’s lighting is well served. No disc extras but a 24-page contextual booklet featuring two essays from Czech cinema expert Peter Hames is invaluable, and crammed with information about each film, its director, and their history in the cinema.